Three years ago, I coined the term The 5-Hour Rule after researching the most successful, busy people in the world and finding that they shared a pattern: They devoted at least 5 hours a week to deliberate learning. I believe it’s the single most critical practice we all can adopt to ensure our long-term career success. Almost no one takes this rule as seriously as they should. Recently, I’ve realized that The 5-Hour Rule is more than just a pattern. It’s more like a fundamental law in our current age of knowledge. Let’s assume that it took you 5,000 hours to master your field. To put this number into context, it takes about 6,400 hours of class time and studying to get a 4-year degree. After all of this learning, you’re a happy pumpkin. You feel prepared for your profession. You’re armed with the latest and greatest skills. Every second that passes by, the knowledge in your head becomes a little bit outdated, and, therefore a little less valuable. Just like a new car you buy becomes less valuable the second you drive it off the lot. We all know this intuitively. And we also know the knowledge in our head is becoming outdated more and more rapidly, because we’re in the midst of an information explosion. 80–90% of all the scientists who have ever lived are alive today, for example. But, did you know that there is a whole field of researchers that have discovered creative ways to measure the rate at which knowledge becomes outdated? I will dive into this research later in the article, but for now, let’s safely assume that it takes 10 years for half the facts in a given field to be proven wrong or improved on. In other words, after 10 years, 50% of the facts in the field would be outdated. This is a realistic number for many of today’s fastest moving fields. Ok. So, let’s explore what this mean for those 5,000 hours of learning you did? Of course, you wouldn’t learn all of those hours all at once. If you spread out the learning, you’d need to learn 5 hours per week, 50 weeks a year, just to stay up to date. The people we are competing with for jobs and opportunities are spending more and more time updating their skills. We naturally forget a lot of what we learn. These two factors mean that we’d need more than 5 hours per week in our thought experiment. Bottom line: These numbers show that you probably need to devote at least 5 hours a week to learning just to keep up with your current field — ideally more if you want to get ahead. If you don’t yet believe just how critical The 5-Hour Rule is to your life and career, consider this your wakeup call. I’m ringing an alarm bell for you, your colleagues, and your loved ones, so you can take action NOW, before it’s too late. Similar to a frog in gradually warming water, once you truly feel the pain of not updating your skills, it’s already too late too jump. The water is boiling. 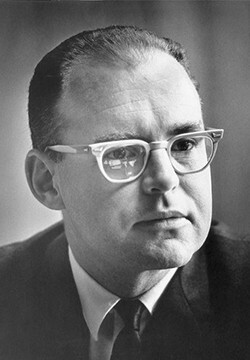 On April 19, 1965, Gordon Moore, co-founder of Intel, published an article in Electronics magazine that identified the most important phenomenon in the technology world. At its core was the observation that the number of components on an integrated circuit would double every year (updated to two years a decade later). Based on this observation, Moore predicted that computer power would balloon while costs would plummet. The phenomenon is called Moore’s Law, and 53 years later, it still proves true. It predicted that huge workstations that filled entire rooms would eventually turn into personal computers and mobile phones. It predicts quantum computers in the future and computers that are so small they are invisible to the eye. Every technologist knows the power of Moore’s Law and factors it into their plans for the future. This is the explanatory power of a fundamental trend in an industry. Half Life Of Knowledge: The rate at which knowledge is becoming outdated is predictable and growing exponentially (read on for the research). Therefore, just to stay relevant in the wake of this rapid evolution, we need to keep updating our knowledge. Law Of Increasing Learning: Professionals en masse across the world are increasing how much time they put toward learning (read on for the research). Given that we are competing in a global economy for jobs, clients, and customers, we need to at least match others just to stay in the same place. These two fundamental trends are much more than interesting theoretical points. They are practical, applicable — and most importantly, they’re affecting all of us right this moment, whether we recognize it or not. Before I share how to apply these trends, let me explain them a little more. For example, if you’ve got liver disease and go to a doctor who graduated more than 45 years ago, half of that doctor’s original information is probably wrong at this point. In another study featured in The Half Life Of Facts, two surgeons found that half of the facts in surgery also become false every 45 years. Periodic Table. If you learned about the periodic table as a high school student in 1970, you were told there were 106 elements. Students today are taught that there are 118. So over the last 50 years, the decay rate of this basic fundamental knowledge of chemistry was 10%. Number of Species. In 2017, 85 new plant and animal species were discovered. Amazingly, scientists estimate that 90% of species have yet to be discovered. It is estimated that we have only discovered .00001% of all microbial species on the planet. That’s one-thousandth of one percent. Psychology Replication Crisis. If you studied the field of psychology in 2010, you would’ve been exposed to the top 100 studies. In 2015, researchers attempted to replicate those studies and fewer than 50% got the same results! Smoking. 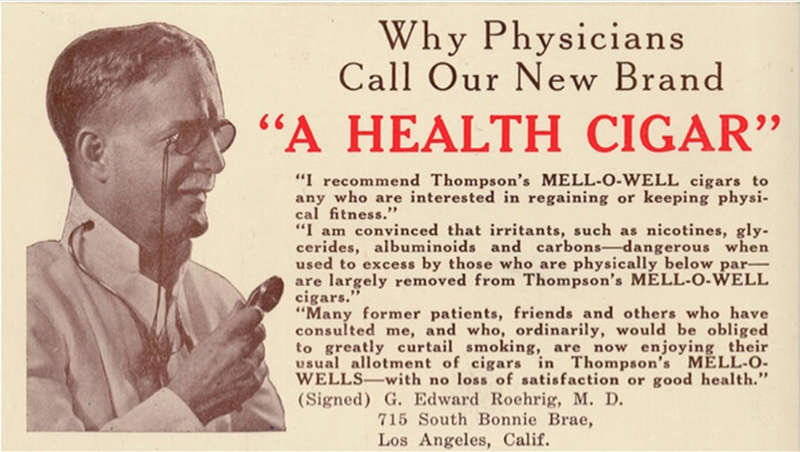 Not that long ago, some of the biggest tobacco sales people were doctors, dentists and nurses. This vintage ad would be so crazy as to be illegal in today’s world. Diet. 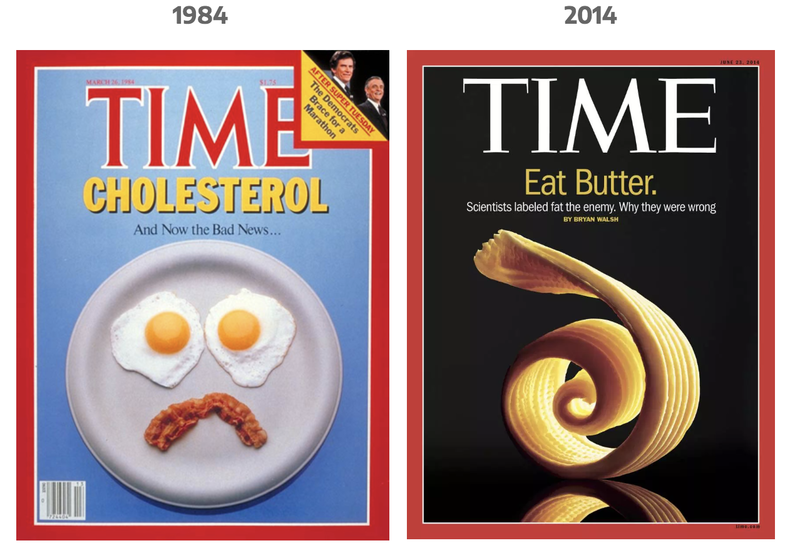 In the 1980s, bacon, butter and eggs were considered three of the worst foods you could eat for your heart. Now, many argue that they are healthy. In 1998, I co-founded a web development company. Today, many sites are created with programming languages and tools that simply didn’t exist 20 years ago. Back then, I only designed and tested sites for desktop computers. Now, we have tablets and smartphones. When I went to undergrad business school and took entrepreneurship classes, I was taught to spend hundreds of hours creating in-depth, heavily researched business plans. Nowadays, entrepreneurs are taught NOT to do business plans and instead focus on talking to customers and using lean startup principles. Fifteen years ago, online writing was an addendum to print magazine and newspaper articles. Now, it is the other way around. And the skillset that’s needed to be an online writer (for people reading on a smartphone after having seen your article on social media) is completely different than writing for a captive audience that has subscribed to your publication. You’ve probably had similar experiences as these in your own field. The number of scientists in the world is growing rapidly. Ninety percent of all the scientists who have ever lived are alive today. The number of people creating and sharing ideas is growing exponentially. 30 years ago, the main people creating ideas were scientists, intellectuals, and thought leaders. With the advent of social media, millions of people are regularly creating and sharing their lessons learned. We can perform exponentially more complex calculations. As a result of Moore’s Law, the calculations per second that we can perform is growing. Each advance in computation allows us to understand the complexity of the world at a deeper level and solve whole classes of problems that were previously unsolvable. We are forgetting what we know. Finally, we have the Forgetting Curve, which shows that we humans forget nearly everything we are exposed to over time without reinforcement. The end result is that we operate with false ideas and we stop getting results. Then we have to backtrack and troubleshoot to find out what out-of-date knowledge and skills might be responsible for the poor results. The 10,000 Hour Rule shows us that it takes an incredible amount of time and effort to be world-class at anything. The half life of facts shows us that it takes an incredible amount of diligence to stay great in a rapidly changing field. In some ways, learning is like lifting weights. It takes a lot of effort to put on muscle. Then, we need to keep working out (all be it less hard) to keep that muscle on. The good news is that different bodies of knowledge have different decay rates. And there are extremely useful bodies of knowledge that stay just as relevant or become even more relevant as time goes by. This is why I co-founded the Mental Model Of The Month Club and spend several hours per week studying the most useful and universal mental models that won’t go out of date for an especially long time. According to Our World In Data, the average person in developed societies has been spending more and more time learning in formal settings over the last two centuries. The chart below shows the astonishing growth over the last 200 years. The years of schooling has gone from 2 years to 20 years in many developed countries. For example, between 1940 and now, the percentage of people who have graduated college in America has gone up by 8x. Amazingly, between 1997 and 2017, the college graduation rate in China went up by 10x. It’s crazy to consider that 15 years ago smartphones, Youtube, and podcasts didn’t even exist! Given that the average person’s work commute is 54 minutes, instead of listening to the radio or a Walkman, people can listen to the best knowledge humanity has ever created. This is significant to the 5-Hour Rule, because the value of knowledge is relative and operates based on the law of supply and demand. If you have a useful skill, but tons of other people have it too, then you won’t be able to command a premium for it. Bottom line: If other people are learning more, then you have to learn just as much as them to stay relevant. If you stand still, you will fall behind. If you’ve been in your current job awhile, you might not be aware of how far you’re falling behind. But if you try to transition to a new field or re-enter the market after a break, you’ll quickly realize that your skills are outdated. You might not think you’ve got 5 extra hours in the week. Between your full-time job, family and social obligations, and time spent on your health, how can you find 5 extra hours a week? Let me assure you, you can. And not only that, you can do it easily. I’ve already written about how some of the busiest people — Bill Gates, Elon Musk, Jack Ma, Oprah Winfrey, Warren Buffett — follow the 5-Hour Rule. But even people without infinite financial resources find time for the 5-Hour Rule. The simplest way is to stack learning on top of your current schedule. That’s right. You don’t have to change your schedule at all. The advent of smartphones and the explosion of videos, podcasts, and audiobooks makes it possible to learn while you do other things throughout your day. I call this double time because you can do two things at once. That we can do two things at once. You can learn with your ears and reflect with your voice while your hands and eyes are busy. That the world’s best knowledge is free and at our fingertips all day. This is only possible in the last 10 years. Here is a list of areas where I leverage double time everyday. I share this with you to give you ideas where you might have double time hidden in your day too. Double time will give you hours a day, and it’s easy and fun to do. Once you have a habit locked in, I recommend doing deliberate learning of harder material in environments where you can give 100% of your focus and energy. Of course, the challenge with Double Time is absorbing the knowledge while you’re driving. In our Learning Ritual Course, we provide several techniques that help with this. You can learn more about some of my best learning hacks in this free webinar. The bottom line is that those who do not keep learning will be left behind, in very real terms: stuck in an unsatisfying job or career plateau or, worse yet, unemployed. In a frightening review study of the current research on the topic of job loss entitled The Far-Reaching Impact of Job Loss and Unemployment, researcher Jennie Brand shows that job loss has a long-lasting impact on not only the worker’s entire life trajectory, but on their children’s too. Its consequences are felt economically, psychologically, and physically. Its costs are as real as the costs of eating poorly and not exercising. Just as we have minimum recommended dosages of vitamins, steps per day, and minutes of aerobic exercise for maintaining physical health, we need to be rigorous about the minimum dose of deliberate learning that will maintain our economic health. The long-term effects of intellectual complacency are as insidious as the long-term effects of not exercising, eating well, or sleeping enough. Not learning at least 5 hours per week (the 5-hour rule) is the smoking of the 21st century. This article is your warning label.